9.09%? Don’t ask, don’t tell. 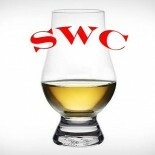 Being by far the biggest advocate for Canadian whisky in the club, I still have my criticisms. That being said, I don’t think I can often blame Canada for these nit picks of mine. One of the said nit picks is primarily a legal one in the famed “9.09%” rule for Canadian whisky sold in the USA. In short, producers are allowed to blend in up to 9.09% of flavoring additives, additives that can be foreign or domestic, but must be aged at least 2 years in wood. This rule has been cited as a criticism of Canadian whisky’s authenticity, most often quite poorly I should add, but likewise the industry’s biggest advocates, in my opinion, haven’t exactly done a sterling job of defending the mysterious rule, either. Every explanation of the rule boiled down to clarifications of misunderstandings, rightly needed, but down to the brass tax I should say the 20k question is never answered: which bottles/brands have additives? “Don’t worry, only bottom shelf brands use this rule, the craft stuff wouldn’t bother with it, so bugger off,” is generally the explanation I find. Classic dodge. Because I care about Canadian whisky, and have purchased many bottles, and love the rich distilling heritage this country possesses, I think the authenticity question is valid, however poorly understood the 9.09% rule is. But to answer my own objection, this rule is taken advantage of for the tax incentives, at least in the case where American spirits are added. If our stuff is used it helps their bottom line due to the tax breaks as well as helping the sister brands south of the border. If there is money on the table, I can’t fault these companies for taking it. Plus, there is no need for distilleries to add any flavoring for their domestic shipments, in my opinion. Even if they wanted to, they could add Canadian spirits for flavoring, which they can under this rule and it would be completely acceptable. In other words, authentic Canadian whisky is available, if that’s what you want, just go to Canada and you will have it. We don’t have full assurances here down south which brands have American additives and which ones don’t (“don’t worry about it,” they say), and that has been a bit of a mental block for me. If I sample a brand from my liquor store shelf, the very same brand may taste different north of the border because, frankly, their bottle is 9.09% more Canadian than mine is, potentially. I suppose I should take what I can get and be happy. Alberta Rye Whisky Dark Batch, produced by Alberta Distillers, is an example of a bottling that must be a bit of a wink and a nod to this little “misunderstanding.” Right there on the label, smack dab for everyone to see, the flavoring additives are listed, for crying out loud. The bulk of the blend is comprised of two rye whiskies making up 91%, with 8% bourbon (Beam Suntory’s Old Grand-Dad) and 1% sherry wine. Not finishing, or residue from a wet cask, actual sherry dessert wine. The first rye whisky is a high-proof column-still whisky aged in used barrels for twelve years. The second rye whisky is a pot-still whisky aged for six years in new oak barrels. Apparently, the best way to get ahead of a controversy is to be open and honest. And not charge a whole lot for the bottle, too ($25). Nose- Confection feel everywhere. Caramel corn, red berries, perfumy. Sour patch kids. Maple with amaretto. Marshmallows. Gin-ish with glue. Taste- Sweet rye kick. Almond. Maple. Smores. Finish- Medium length. Coffee with fruit everywhere. Nyquil cherry. Funk. Comment- “Canadian Rye” whisky sure does taste a bit odd at times. We can’t complain too much about this given the price, and it was certainly an easy sipper, but it resembled more of a liqueur than anything and was a one trick pony. All well. Agree? Disagree? We will add up to 9.09% of snark in our responses.